Astmoor Tannery Area - a Memory of Astmoor. My father used to work at Astmoot Tannery until it closed in 1957, he wound up the books and company. There used to be a small shop in a person's front room, in the row of cottages at the bottom of Summer Lane and the owner always gave me a Fry's cream bar. On another note, Dr Wardle was not the most gentle dentist even though he was a family friend. 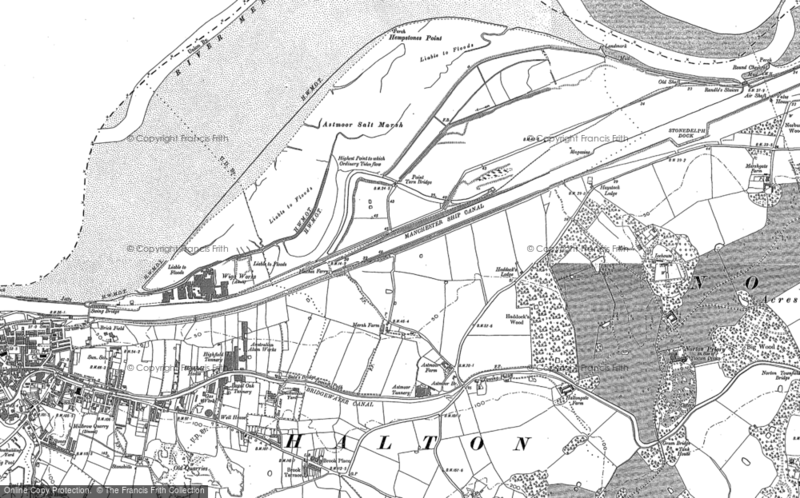 Those were the days when there were fields between Runcorn and Halton. Oh, and in the 1930's my dad found a persons head floating in the Bridgewater canal when cycling home. There was no fuss made, the police just fished it out and life went on! A memory shared by Paul Stephens on Aug 5th, 2012. Send Paul Stephens a message. Add a memory of Astmoor.